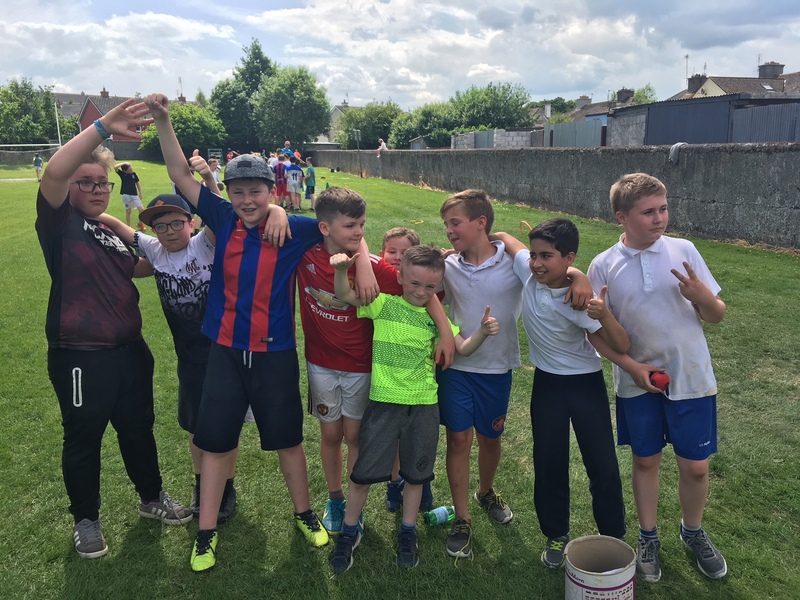 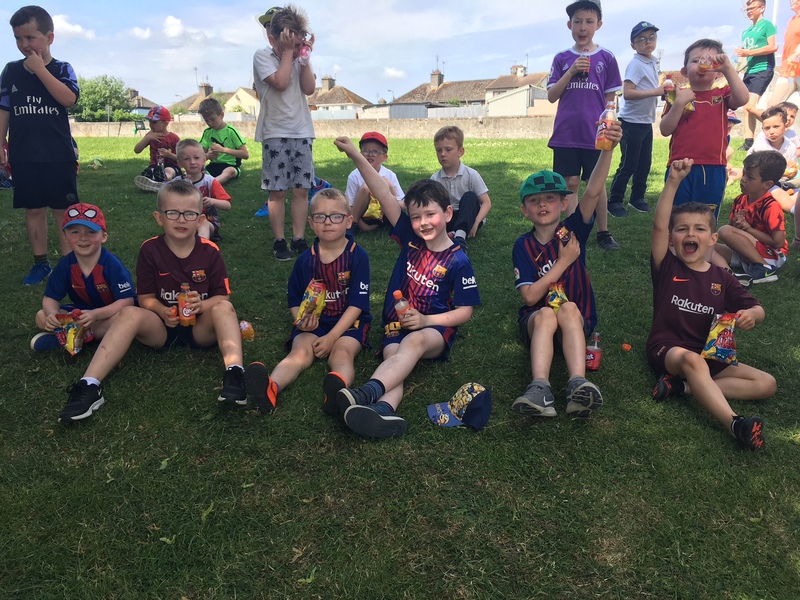 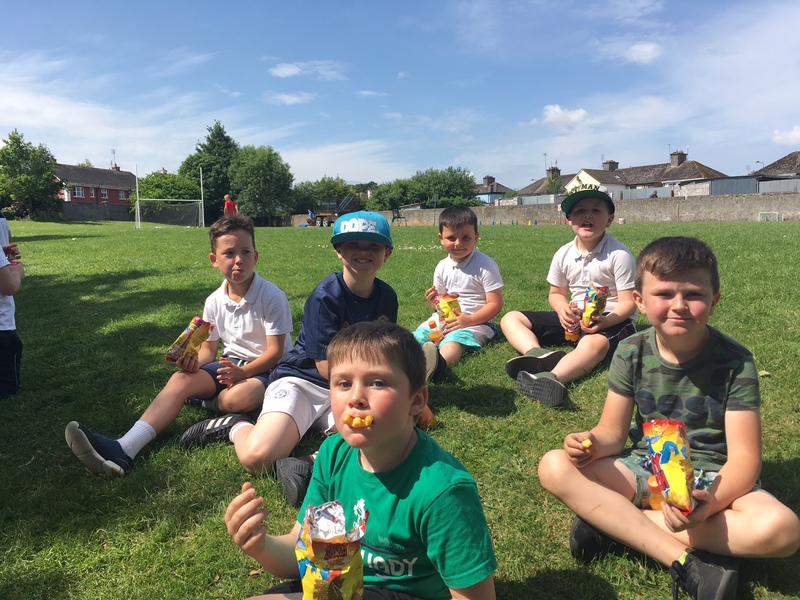 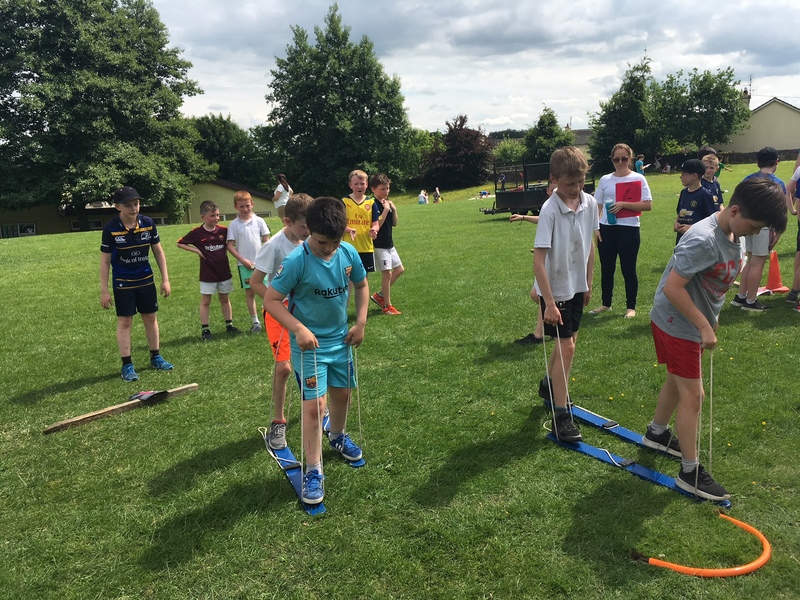 8 teams of 80 boys from 3rd—6th took part in this fun league each lunchtime. 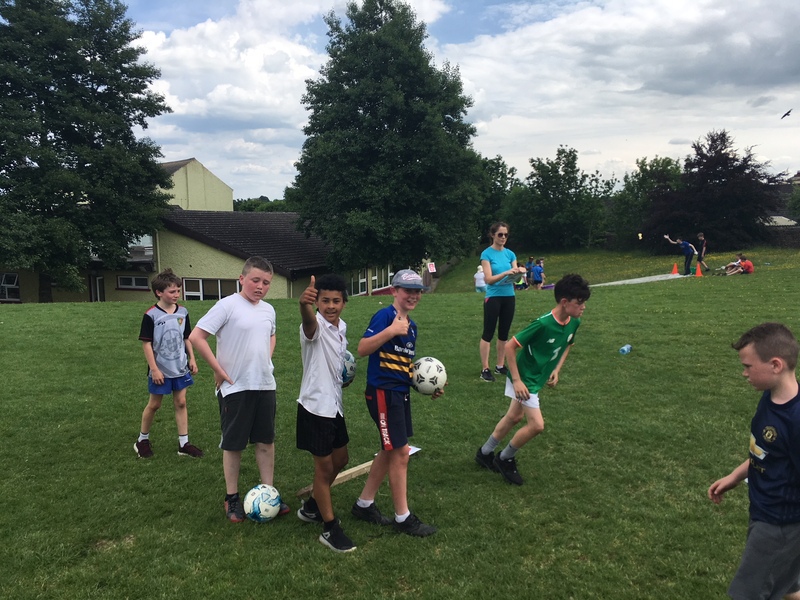 We are down to semi final stage now with 4 teams remaining– great to see boys try football for the first time and enjoy it so much. 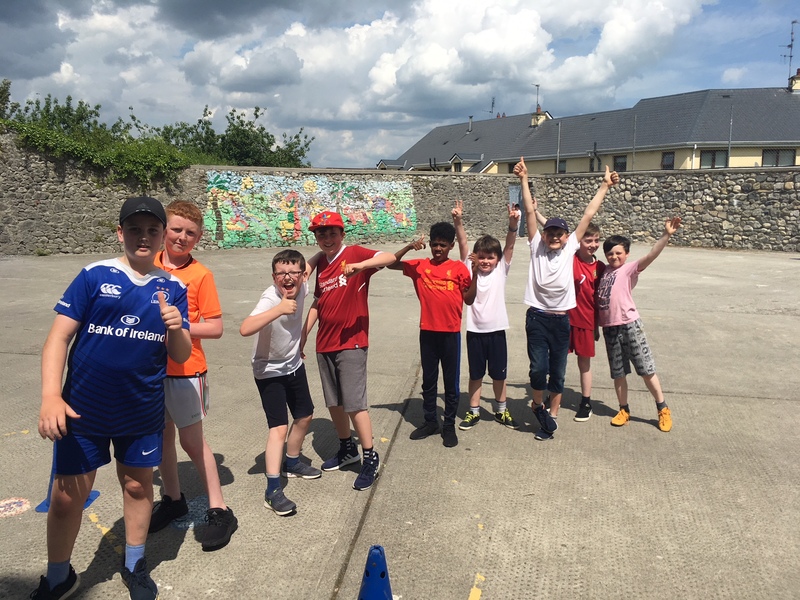 Kayak level 1 training course– Our 6th class boys got a fantastic opportunity last week as they each earned certs from The Irish Kayak Association of Ireland for level 1 kayak skills. 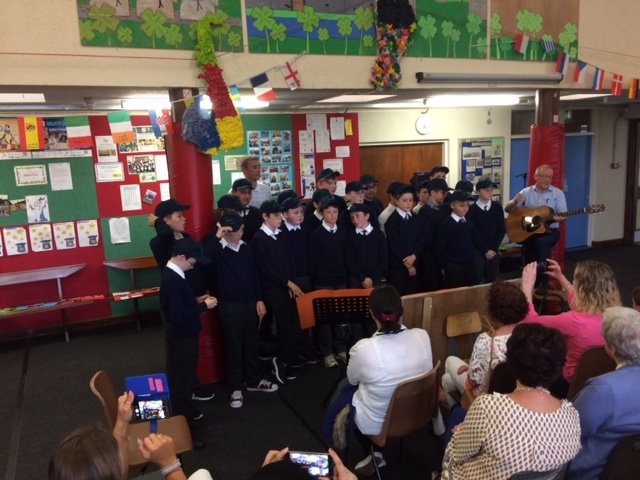 The OEC organised through the excellent Yanni and he had the boys out paddling the Shannon and overcoming their fears and anxiety in o time at all. 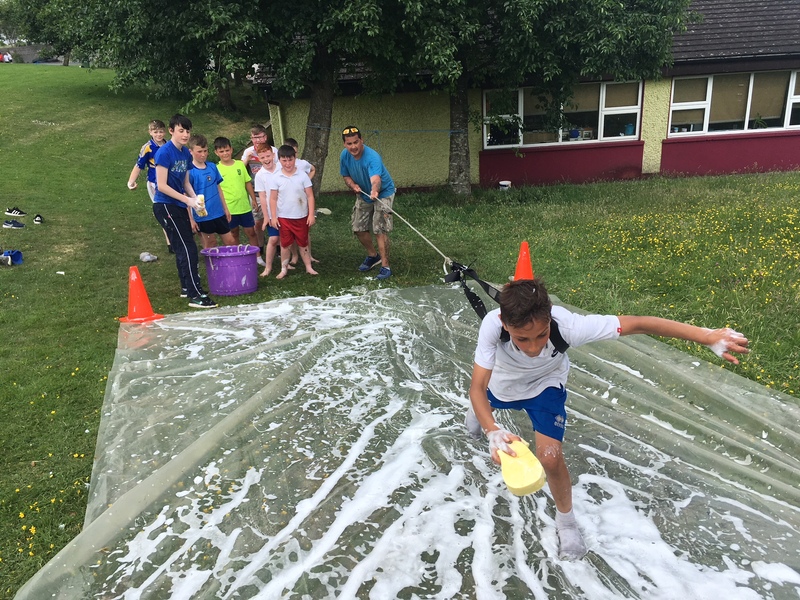 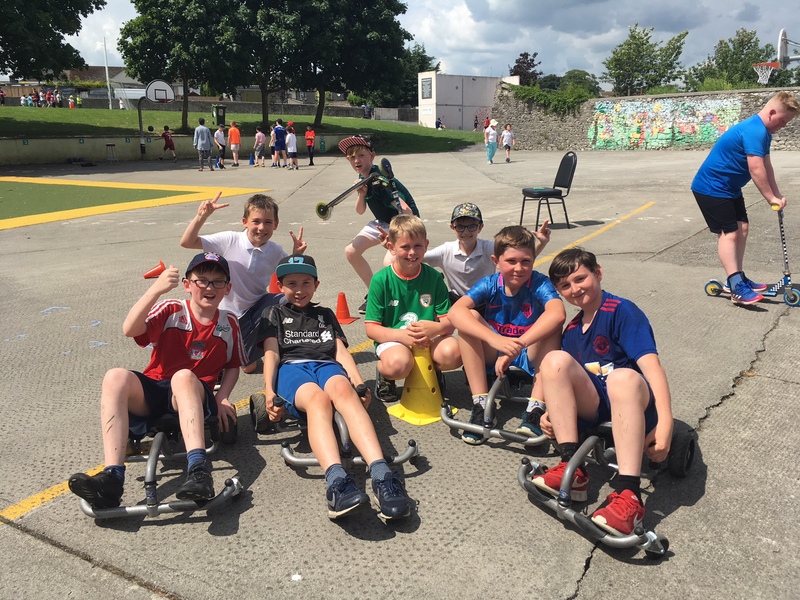 It was great to see the boys excel at this activity and how many attend the OEC centre. 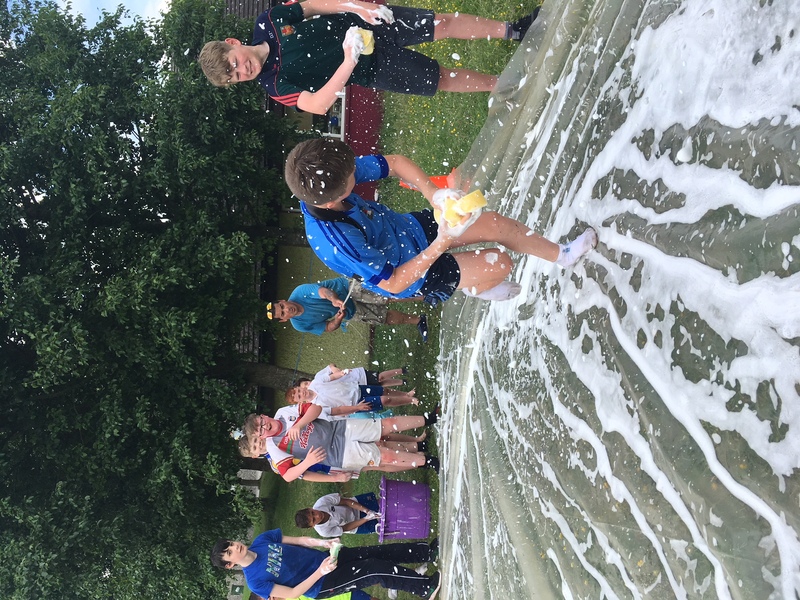 Great event for the boys again this year. 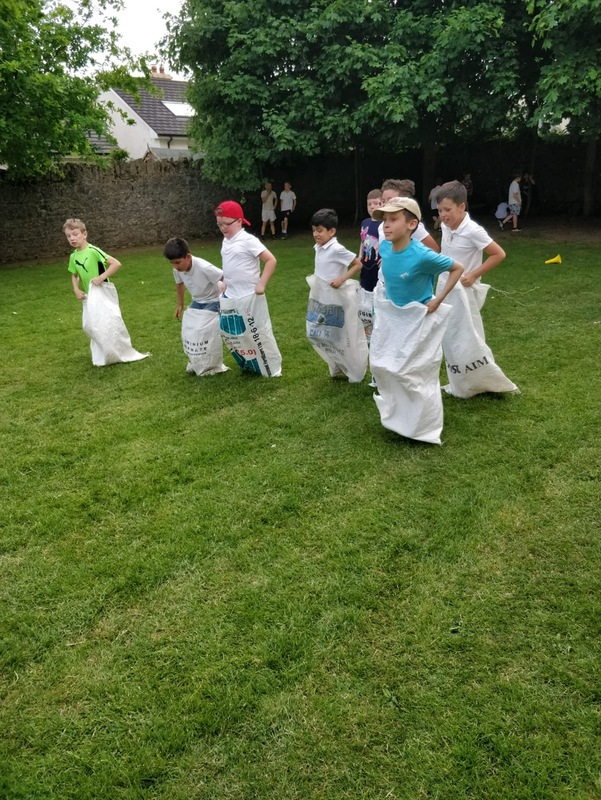 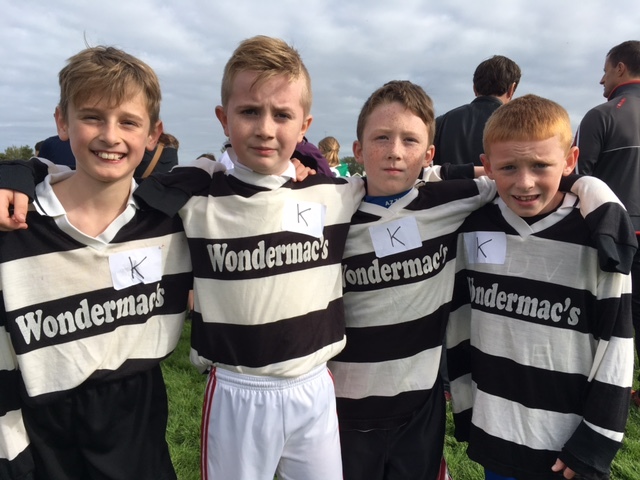 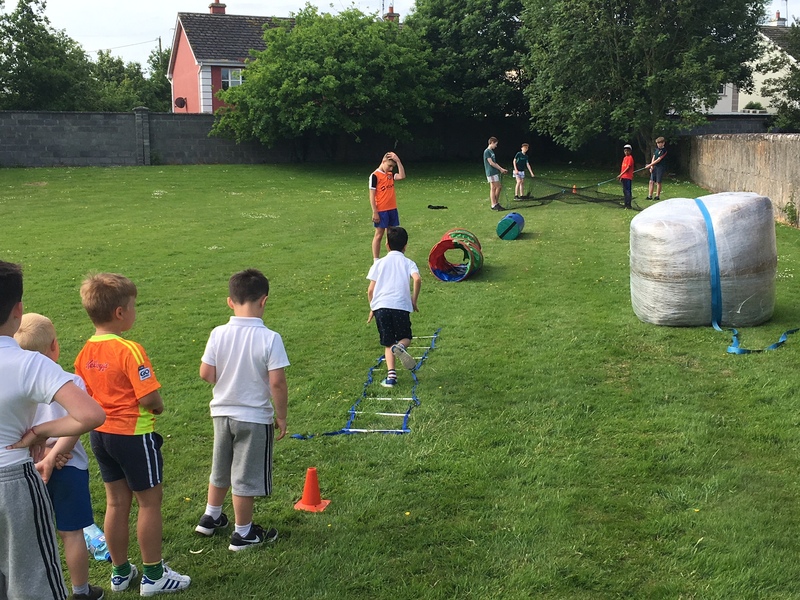 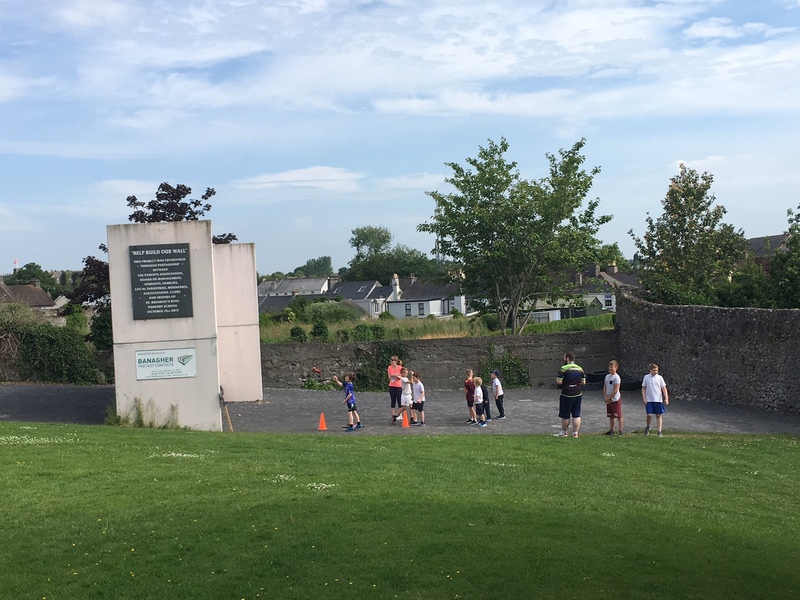 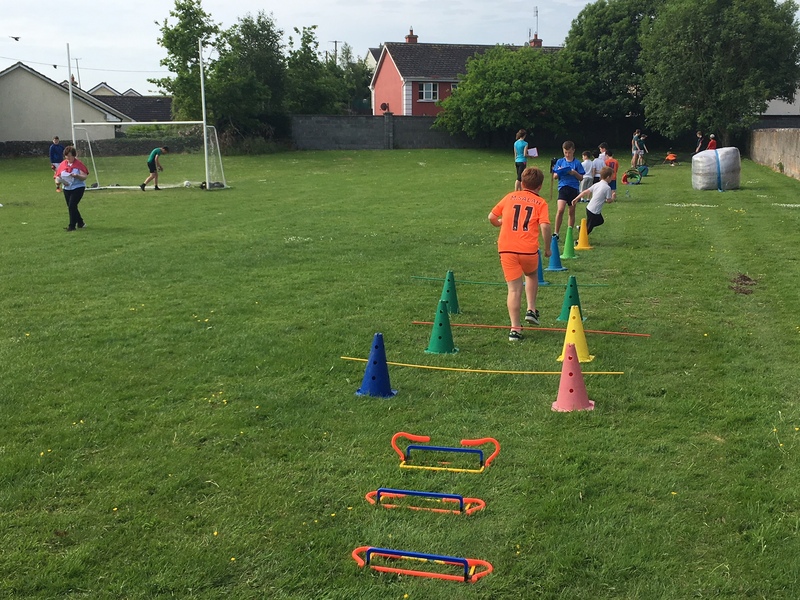 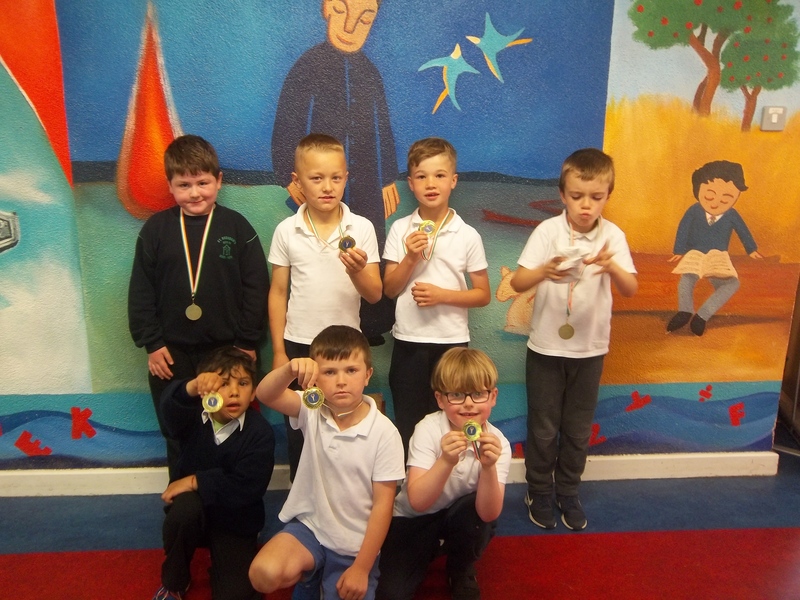 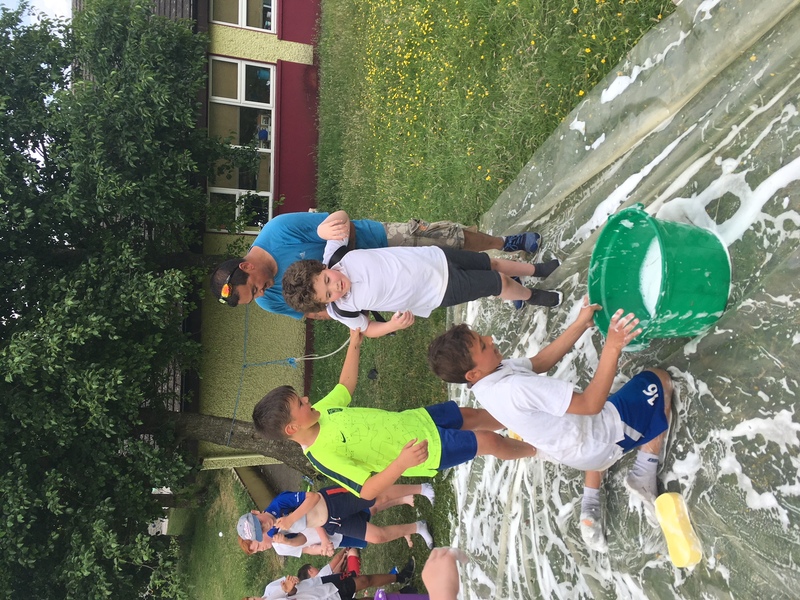 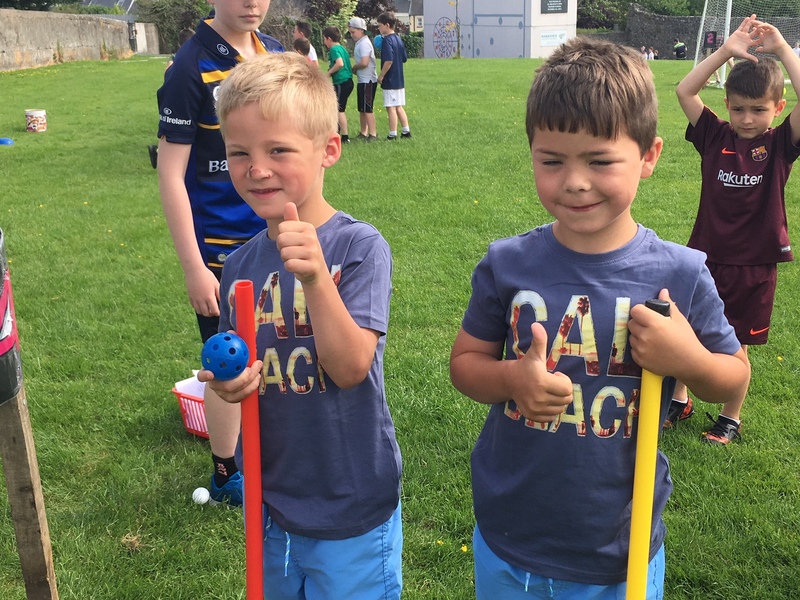 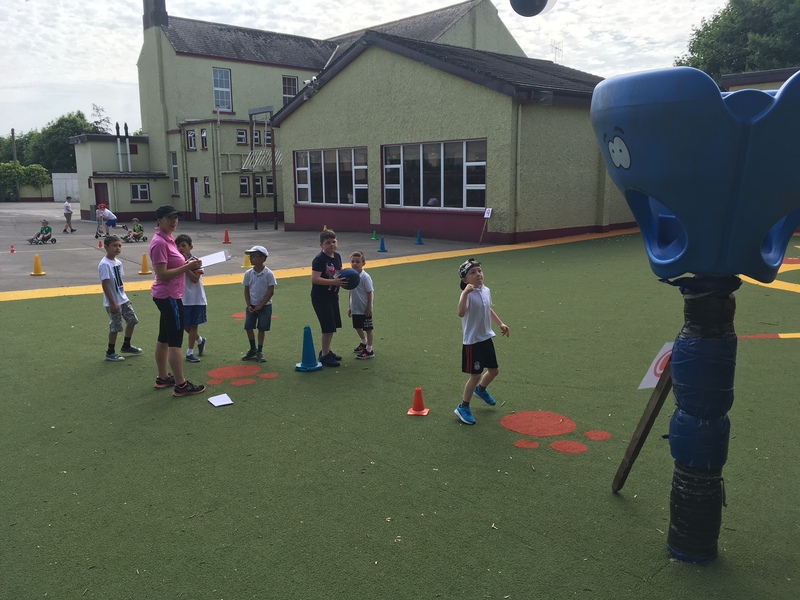 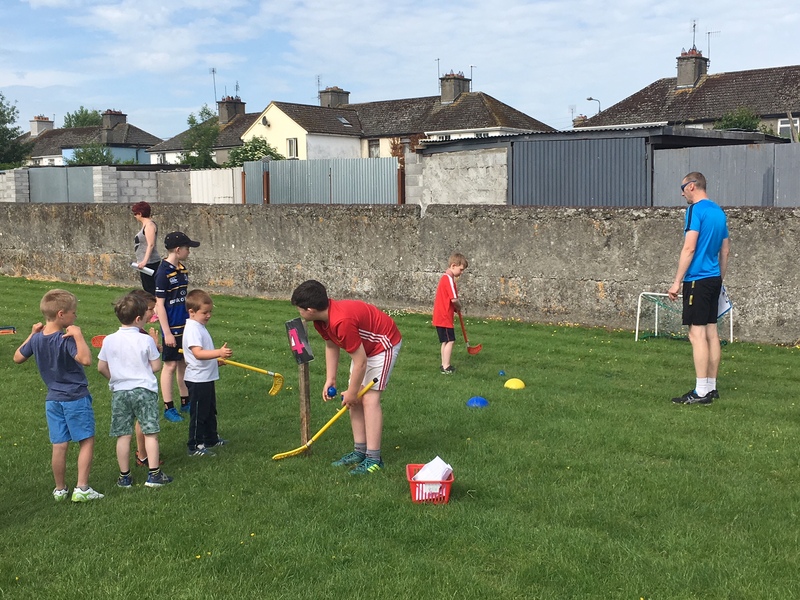 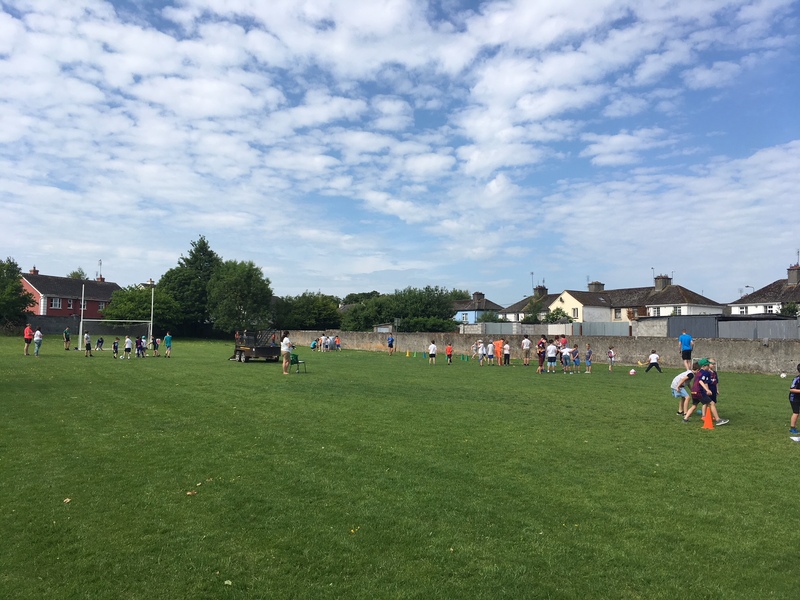 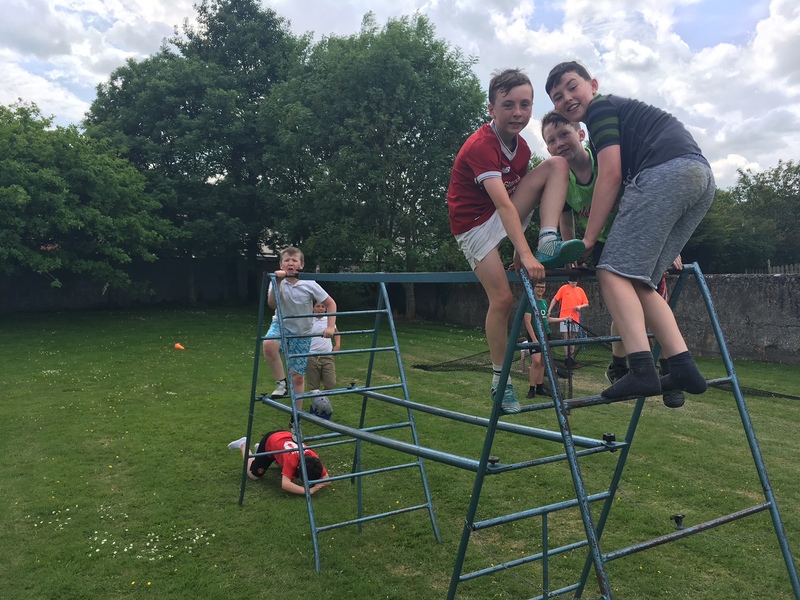 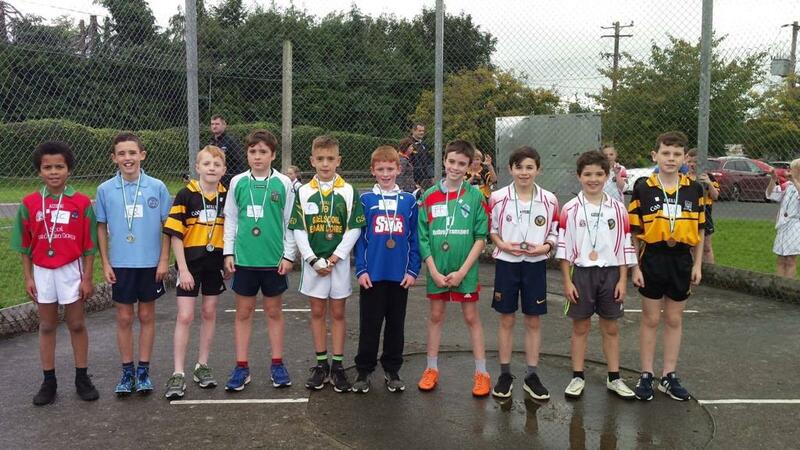 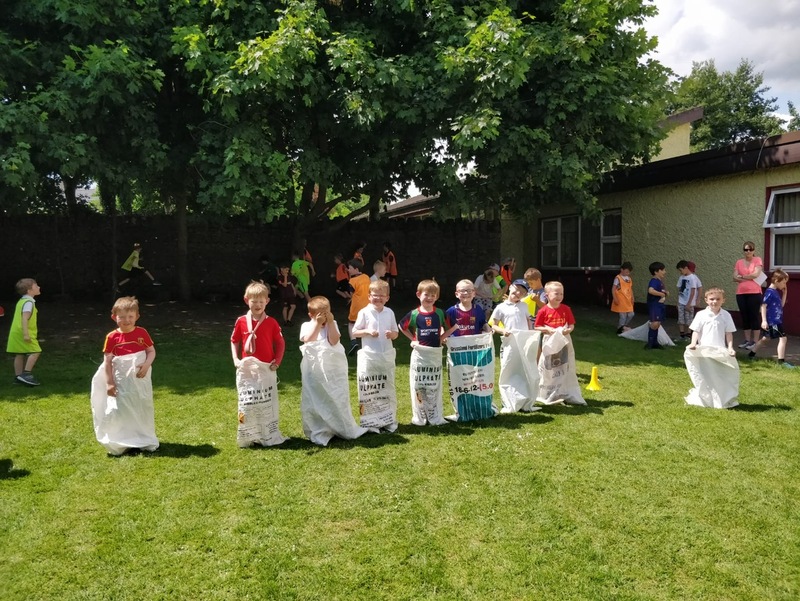 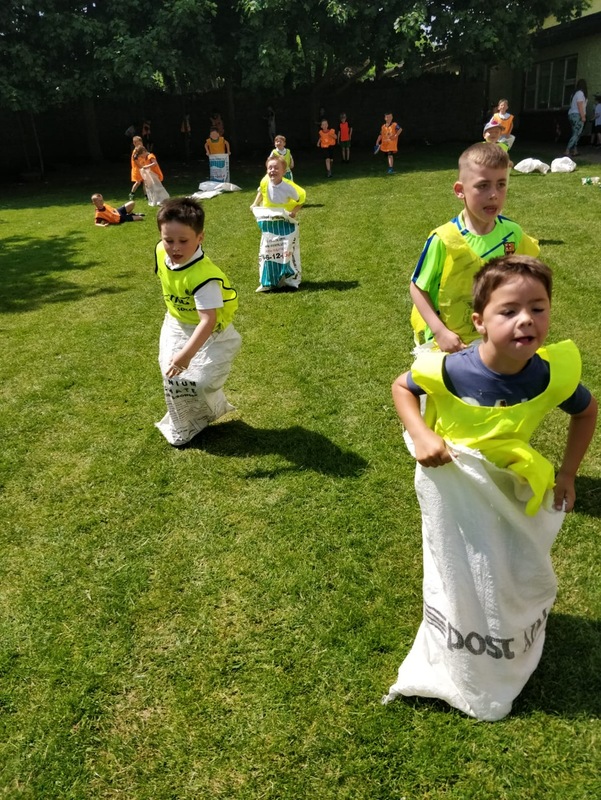 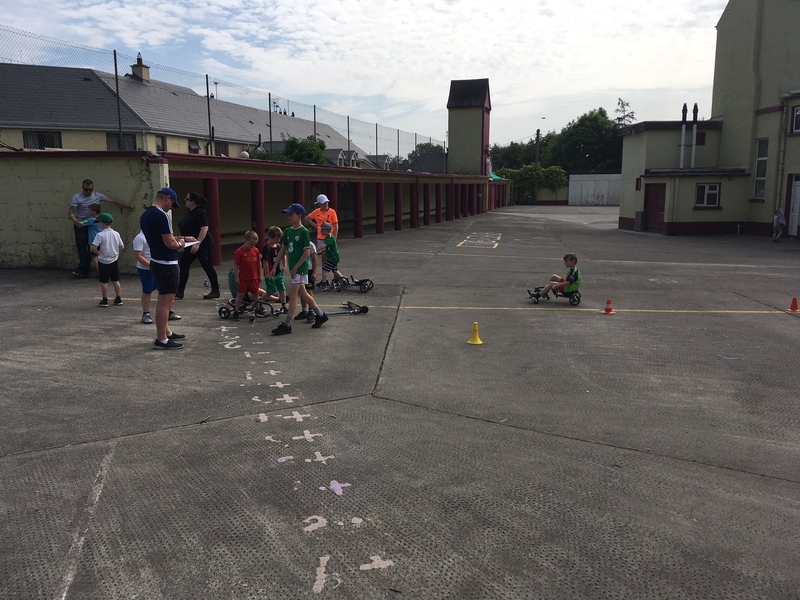 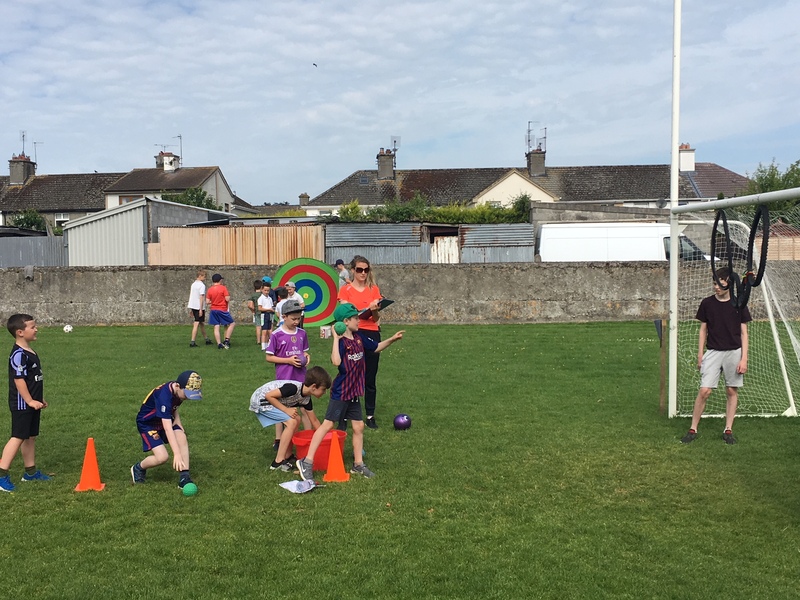 Trials were held in 3rd / 4th / 5th / 6th classes to find a team of 4 boys from each class. 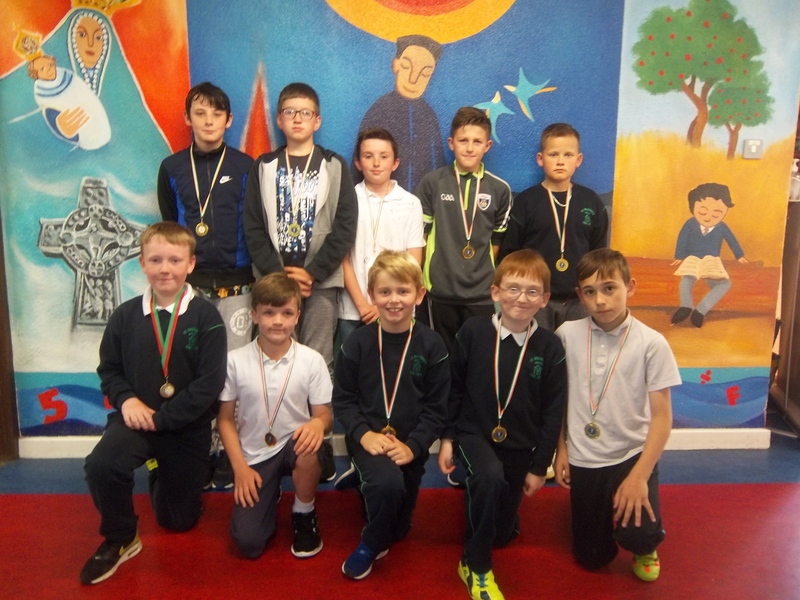 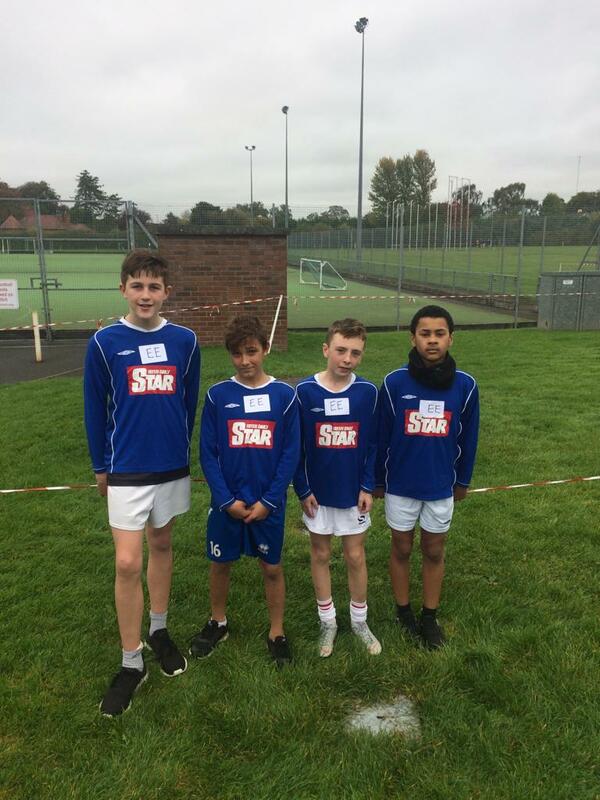 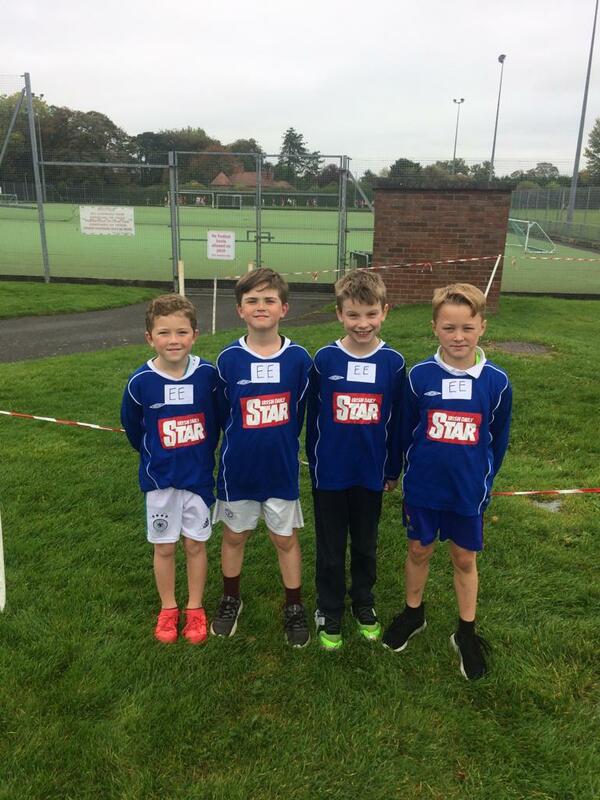 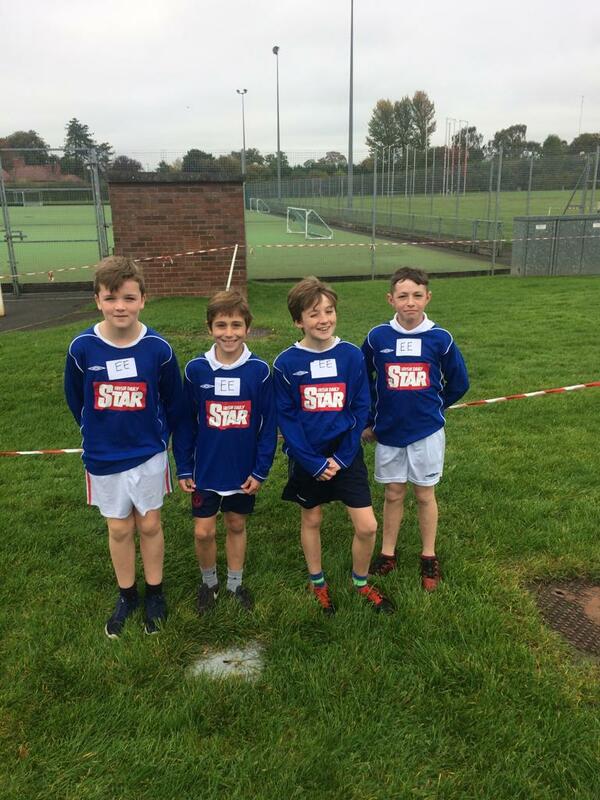 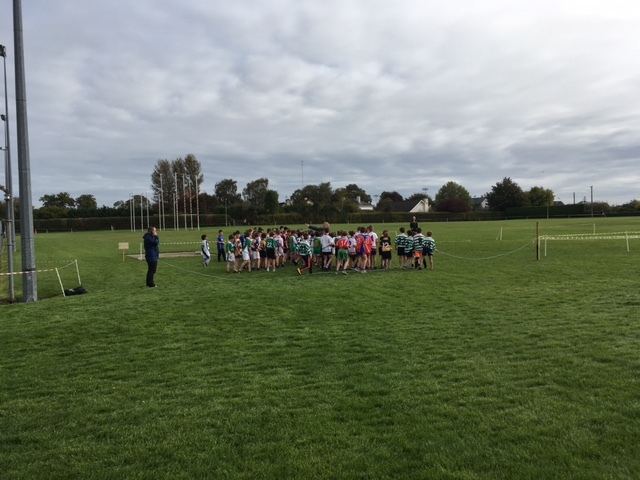 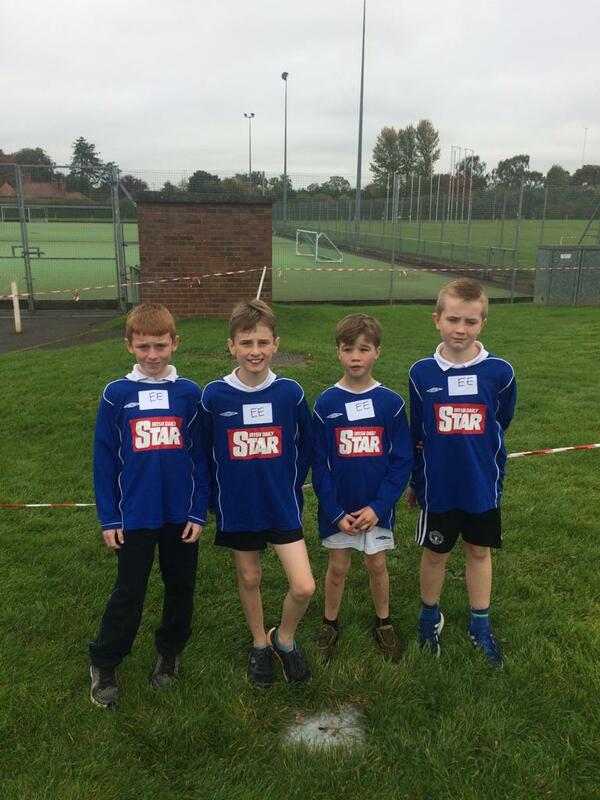 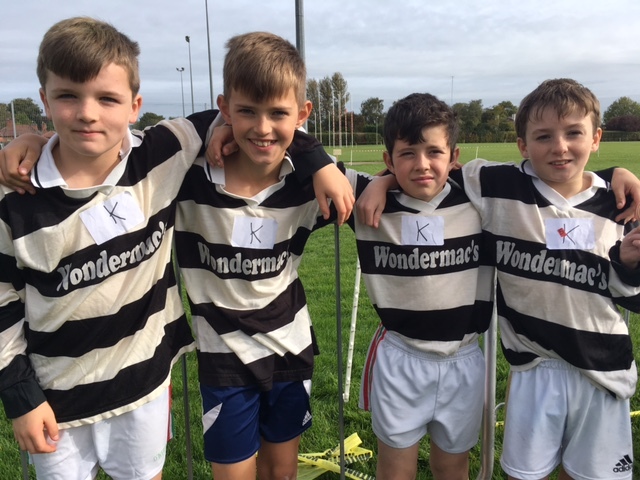 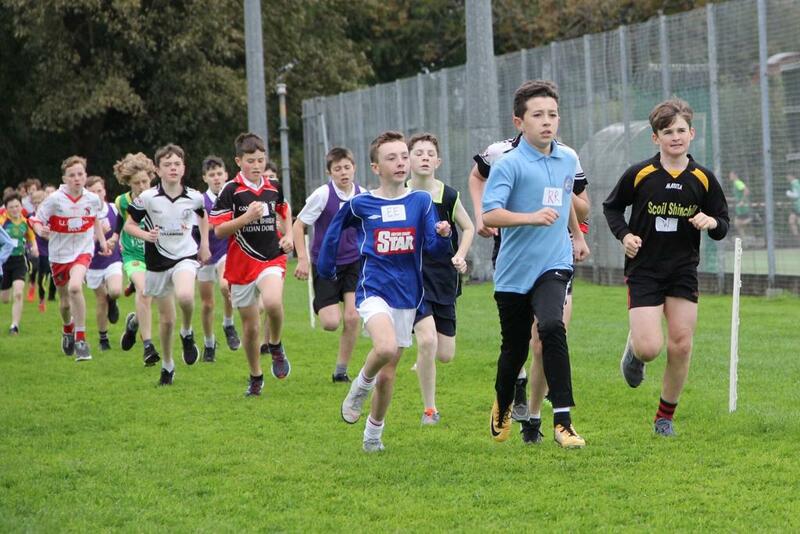 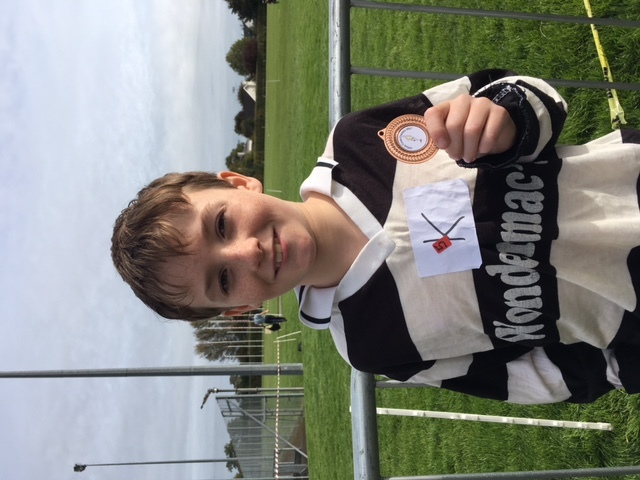 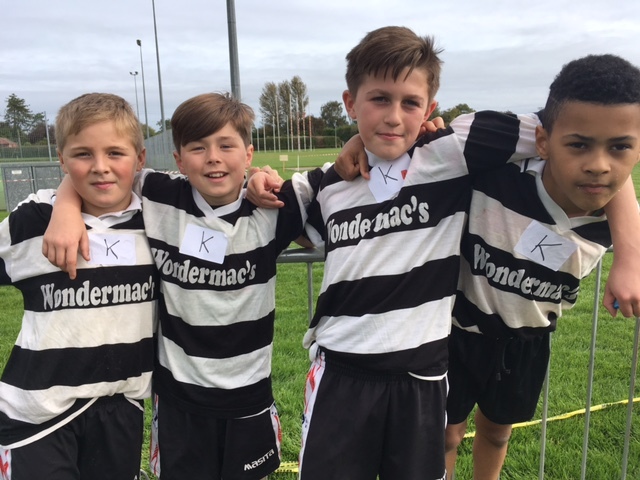 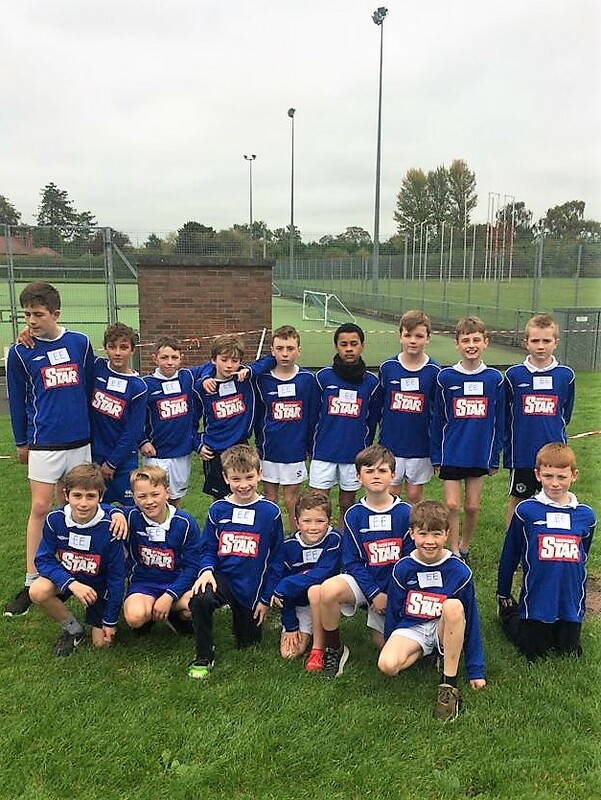 Boys traveled to Tullamore Harriers on Friday 6th October 2017 to compete. 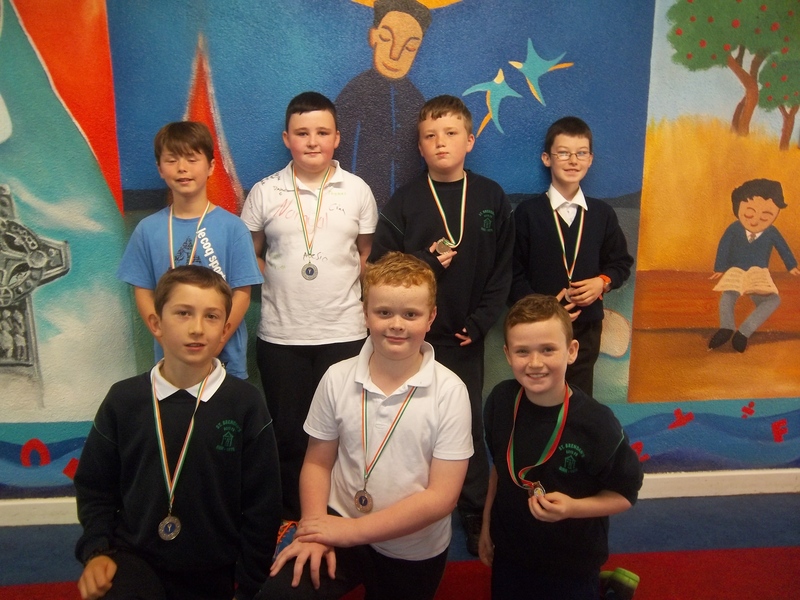 All boys ran well with medals winner in individual runs from Ruairi and Danny- Also 5th class boys cam 2nd in team event. 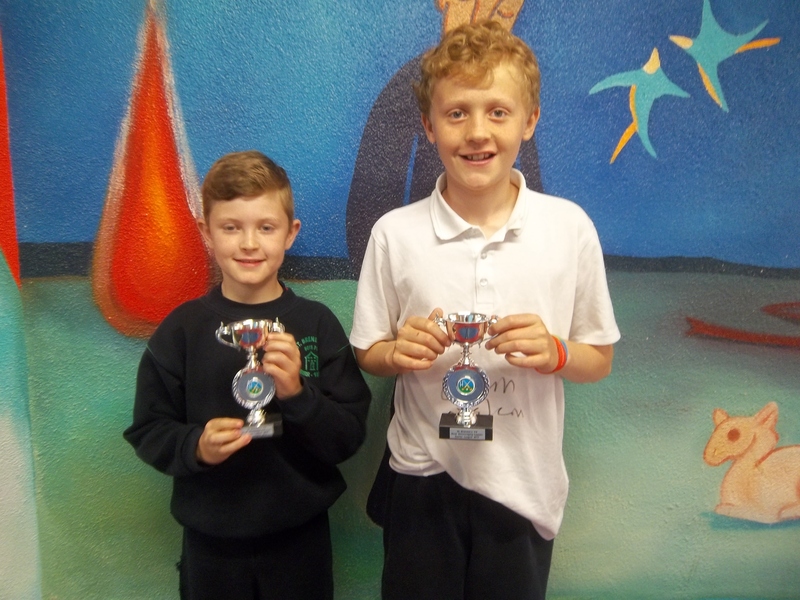 Thanks to Mr Crofton and Mr Cunningham for taking them. 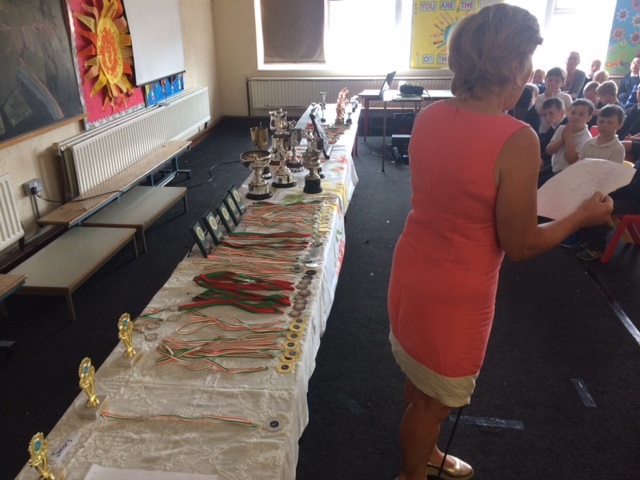 End of year awards hold a special place in our hearts as they celebrate our young peoples achievements at school while remembering those from our school community who have sadly passed away. 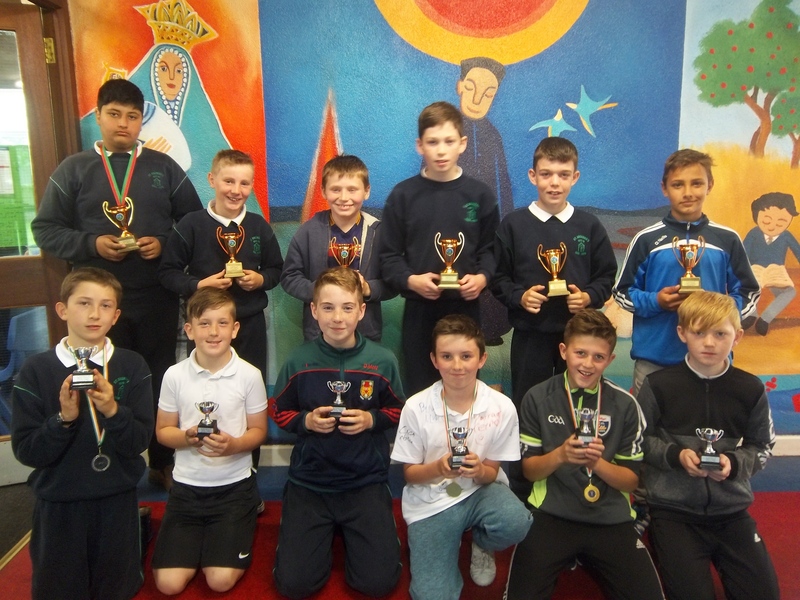 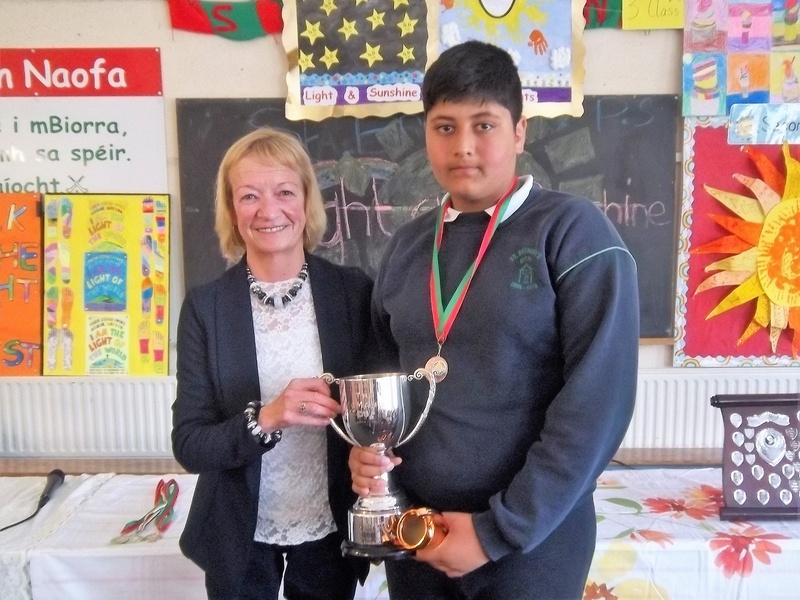 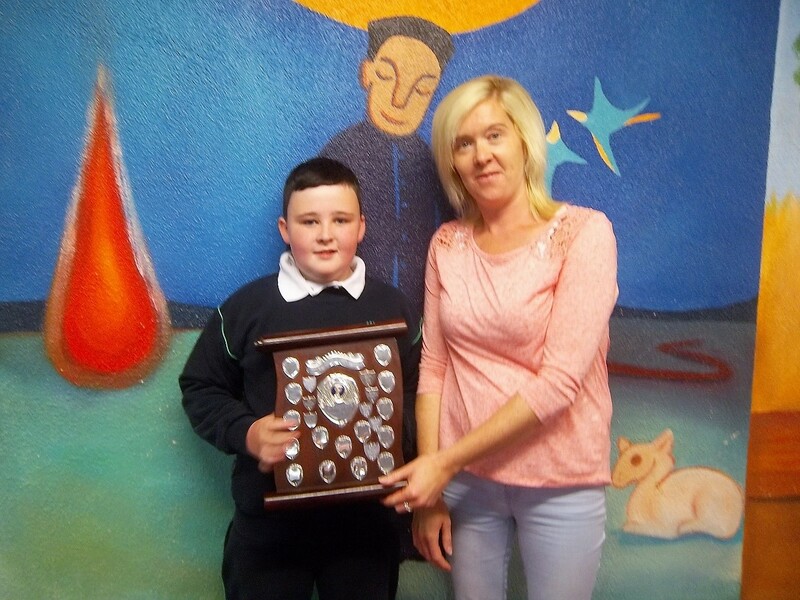 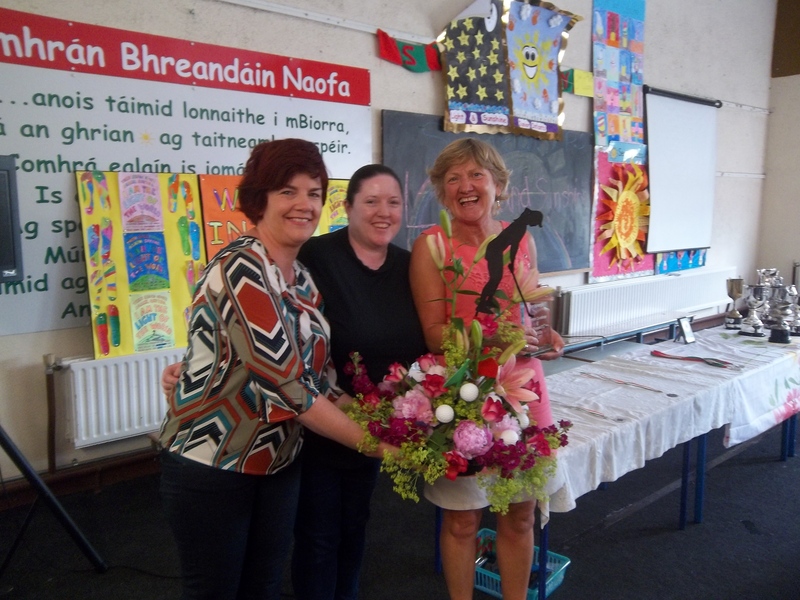 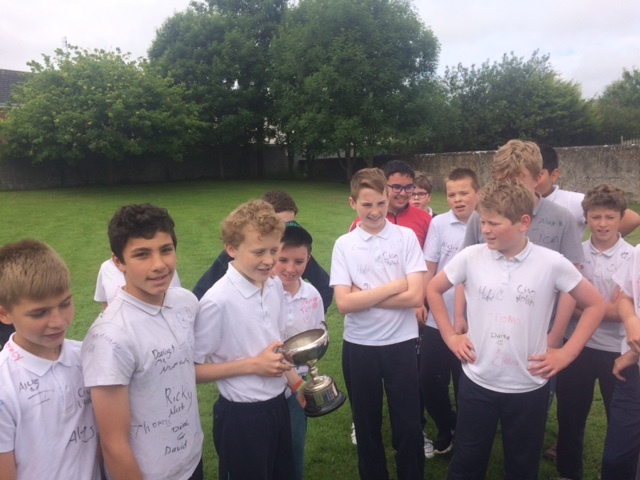 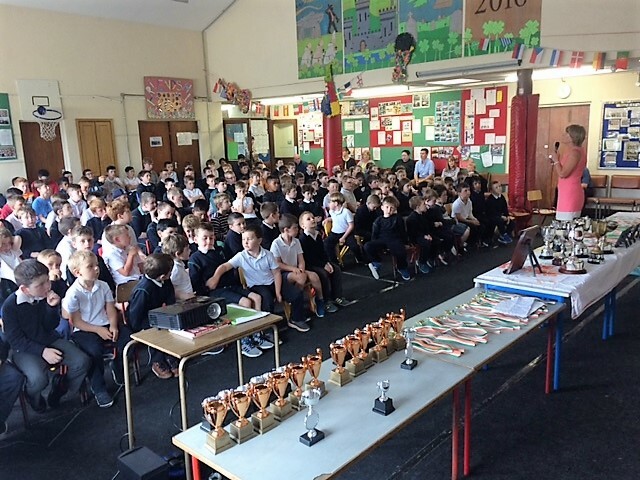 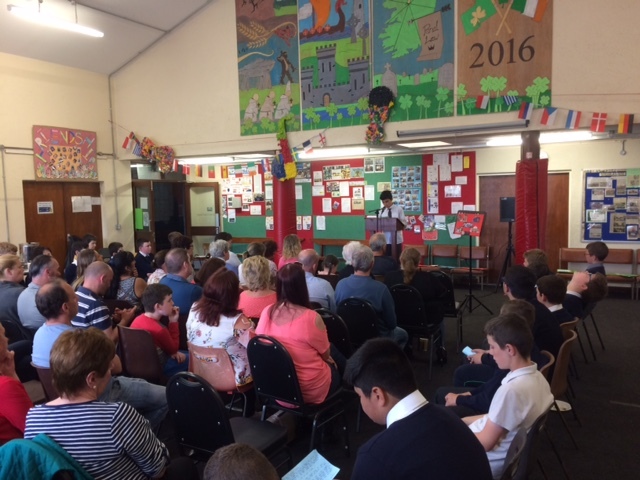 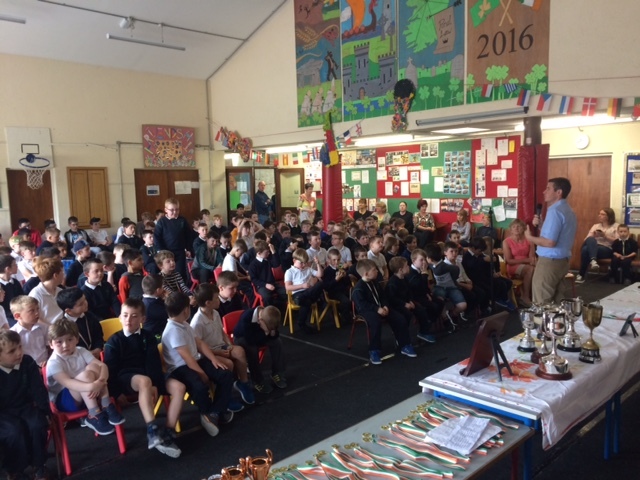 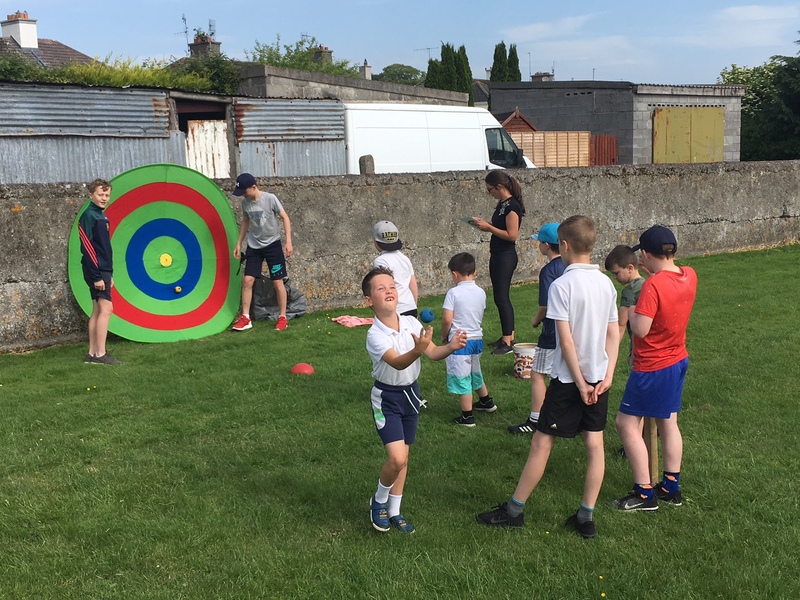 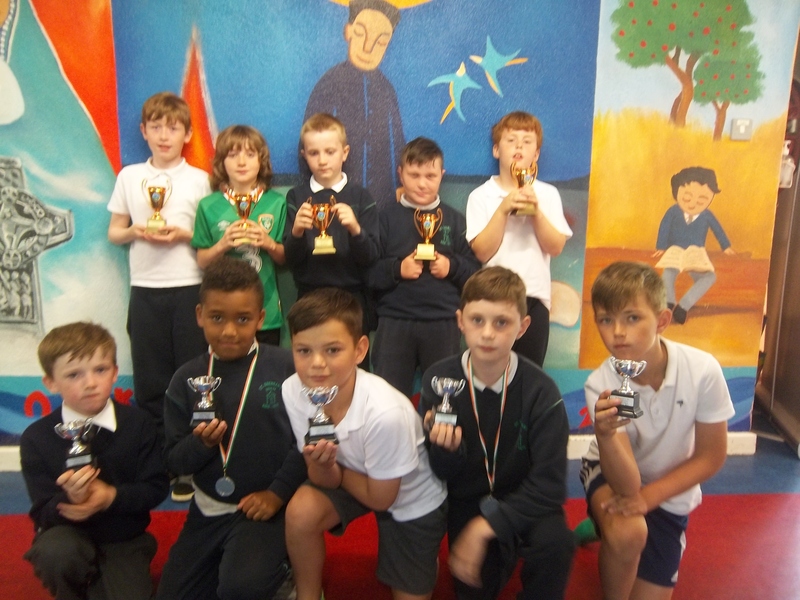 Special trophies and awards have been created over the years and June is a special time where we invite members of the various families back to St Brendans to present these awards to the next generations. 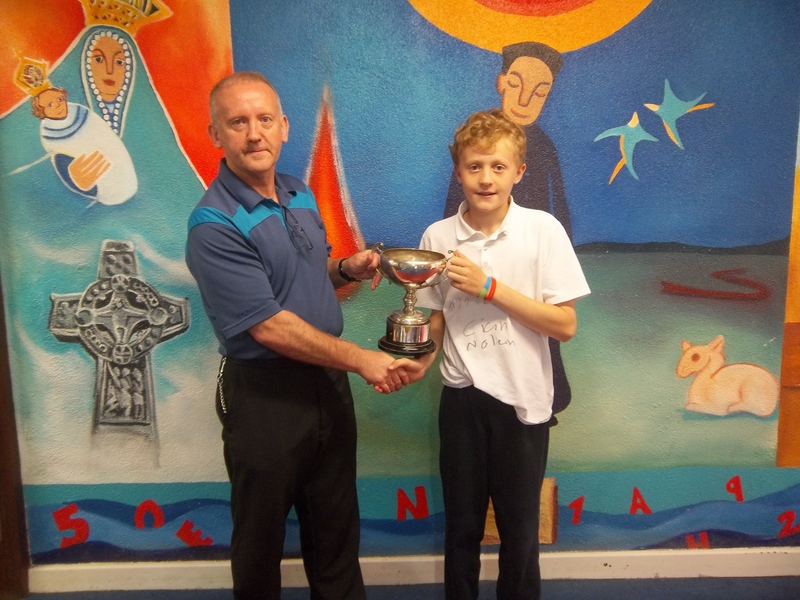 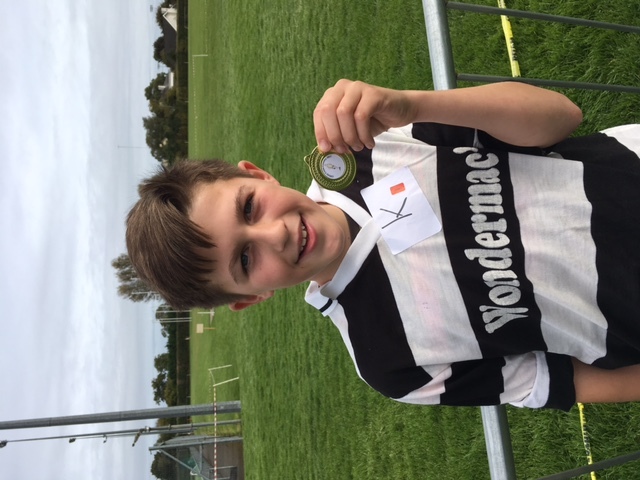 The Kenneth Fox cup (Winning Capt of Senior Hurling league) was won by Ailbe Watkins. 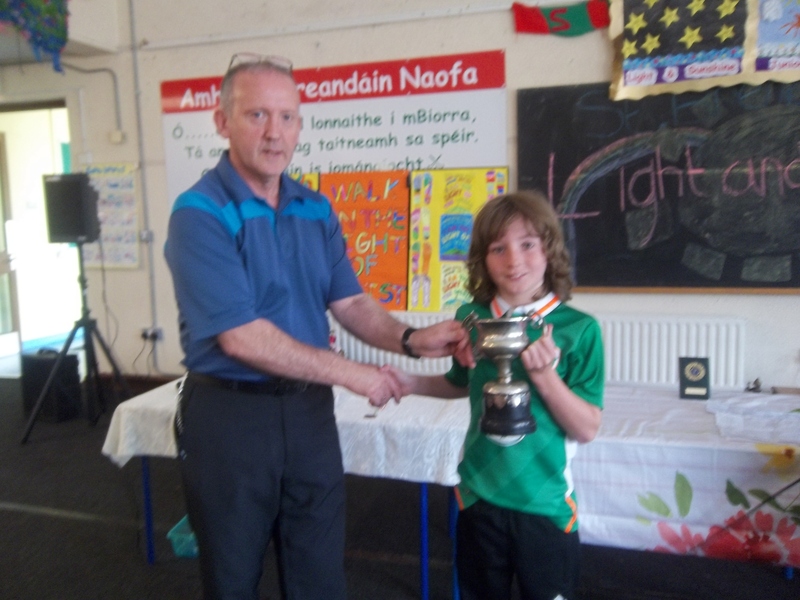 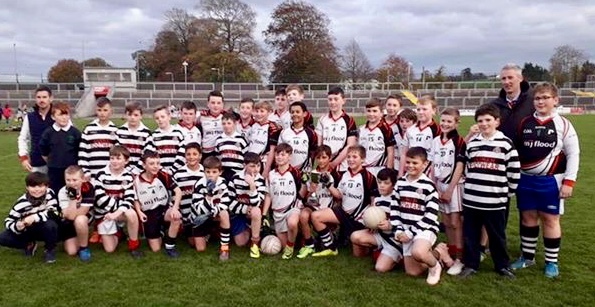 The St.Brendans Cup (Winning Capt.Of Junior Hurling League) was won by Ruairi Mooney. 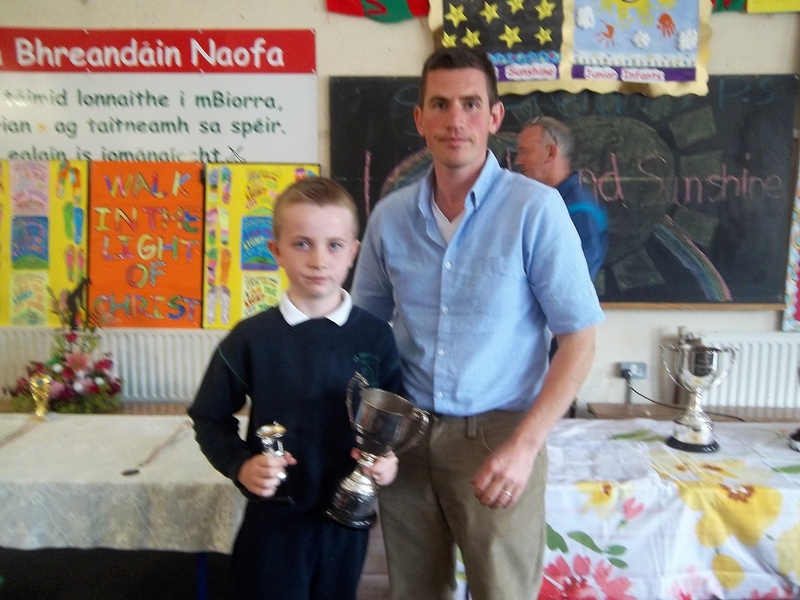 The Junior Hurler of the year went to James Carroll. 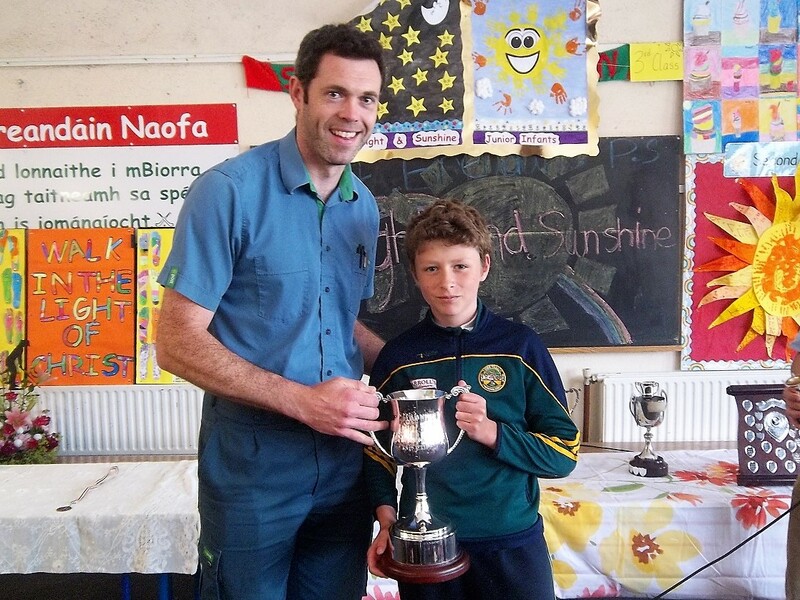 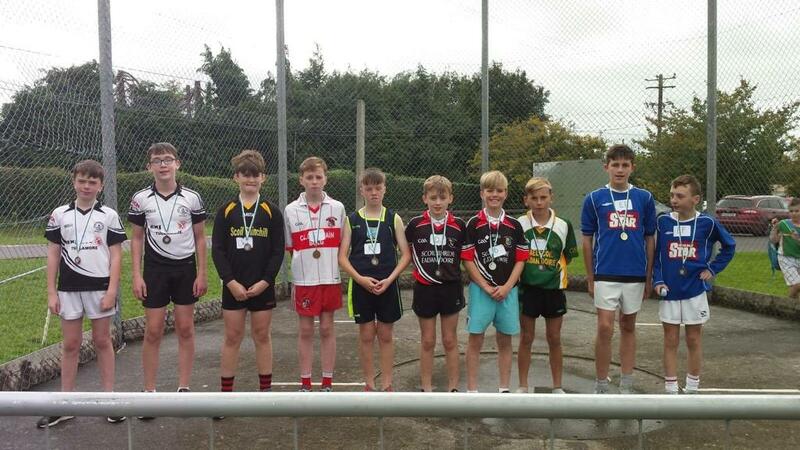 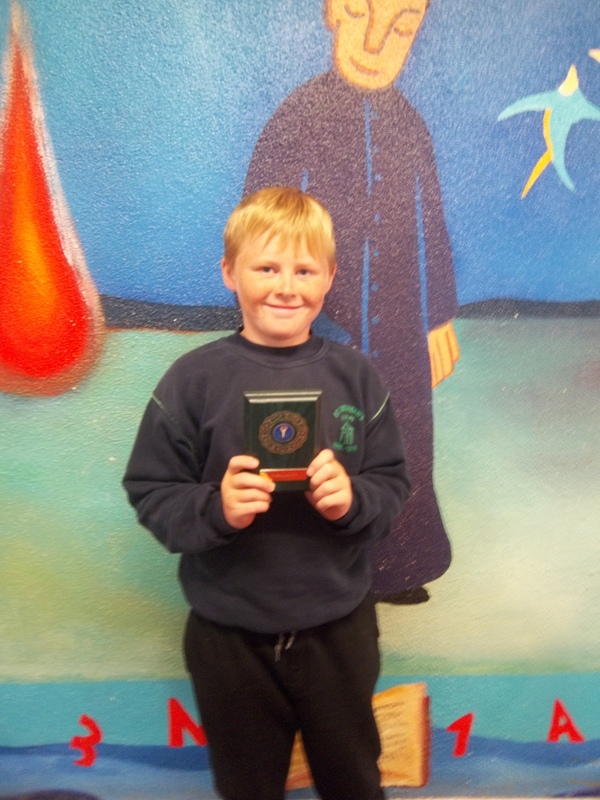 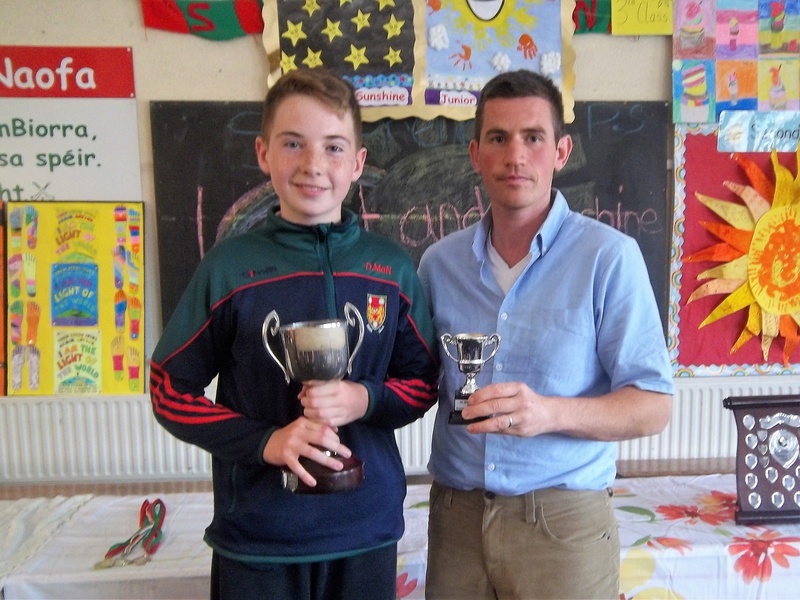 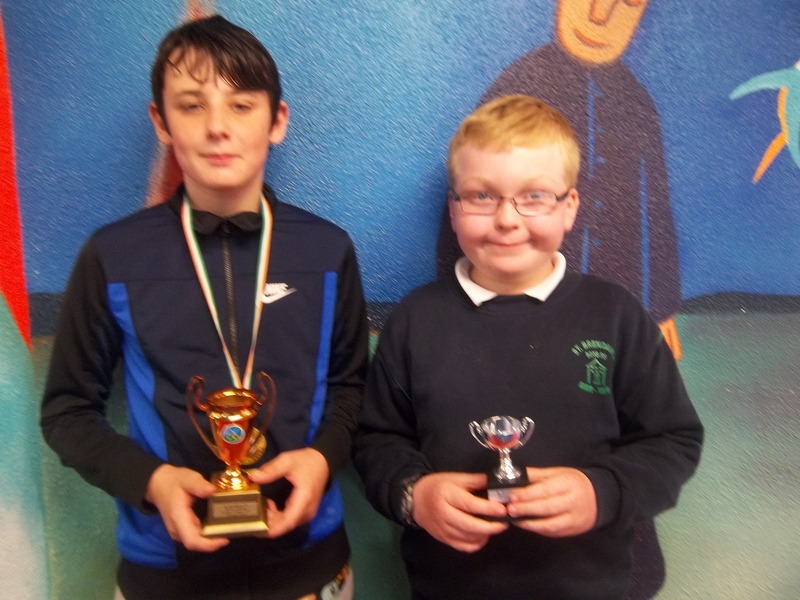 The Johnny Cleary Cup( Most Improved Hurler) was won by Canice Stevenson (6th). 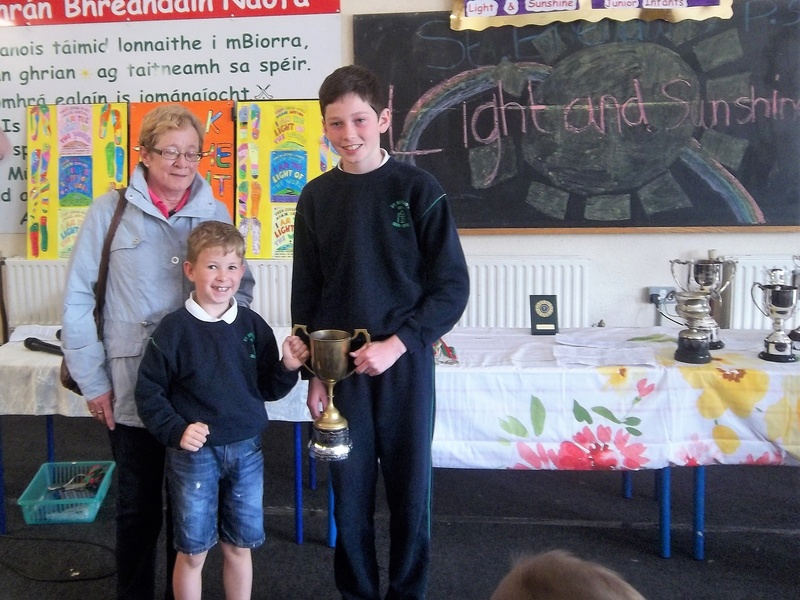 Annual spelling bee champion Damien Delaney. 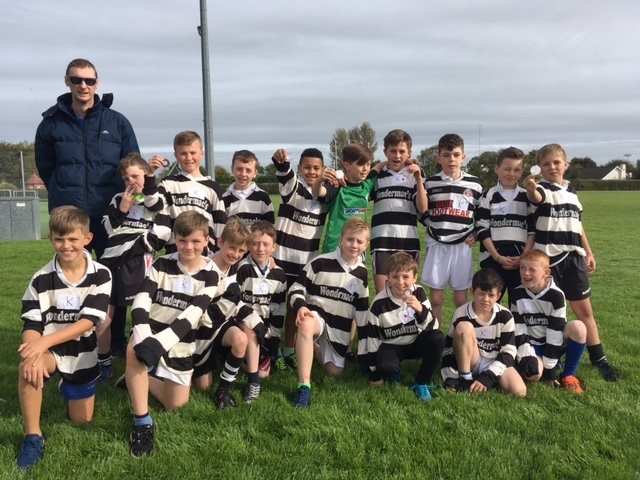 Delighted and proud that our hurling team has again managed to make it back to the allianz offaly cumann na mbunscoil finals. 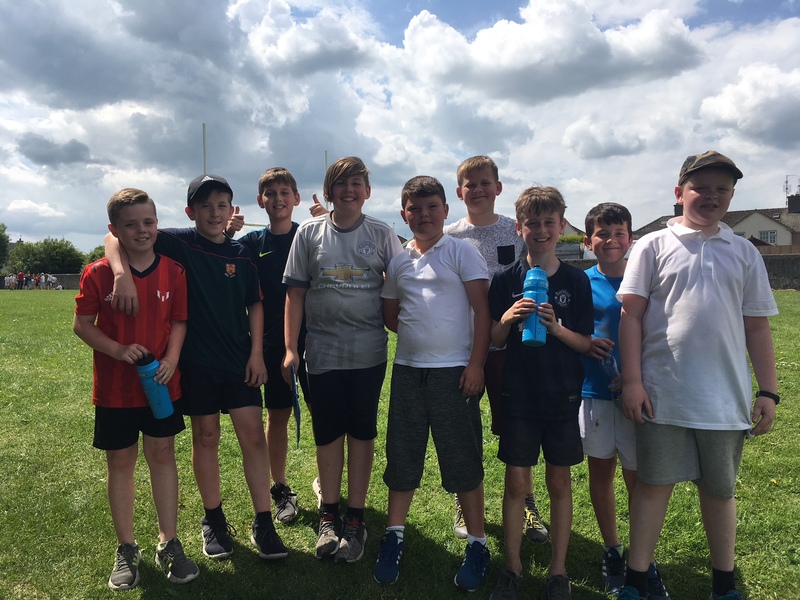 All support welcome to cheer on the boys !! 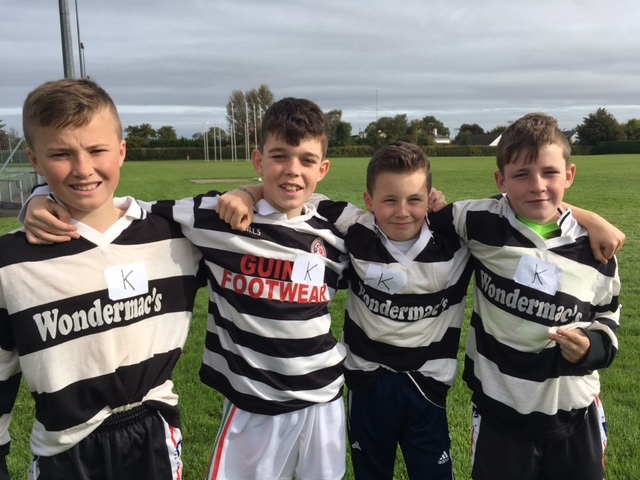 Please inform parents/supporters that there will be a €3 charge per adult to attend the finals. 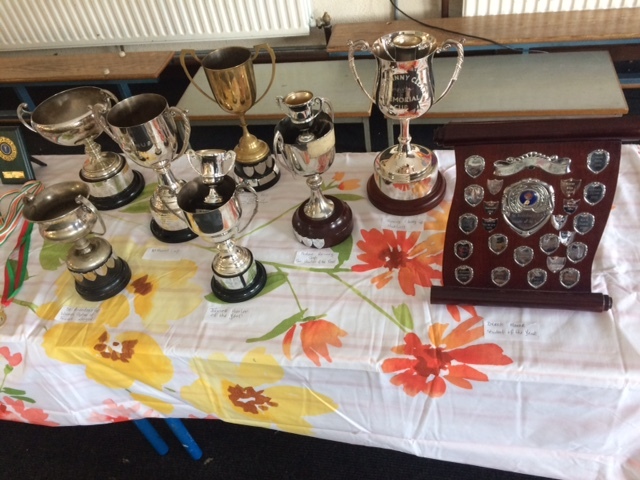 This will be used to cover the cost of referees, medals, pipers, programmes etc. 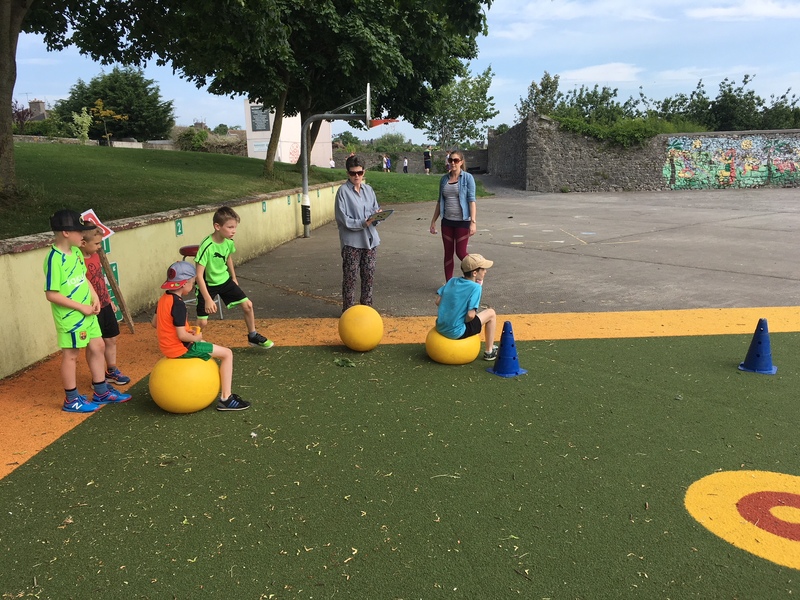 There will be no charge for children. 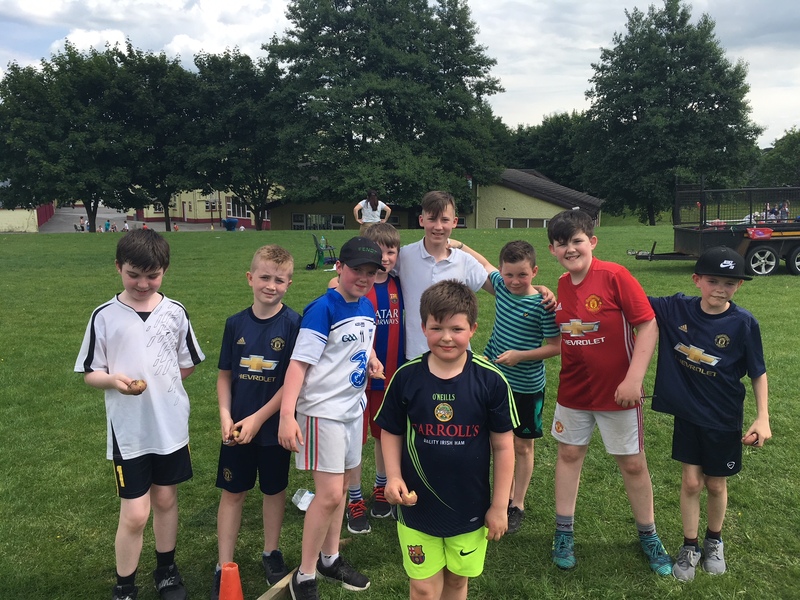 Any money left over from final expenses goes back into Cumann na mBunscol accounts and is used to subsidize hurls , helmets and equipment. 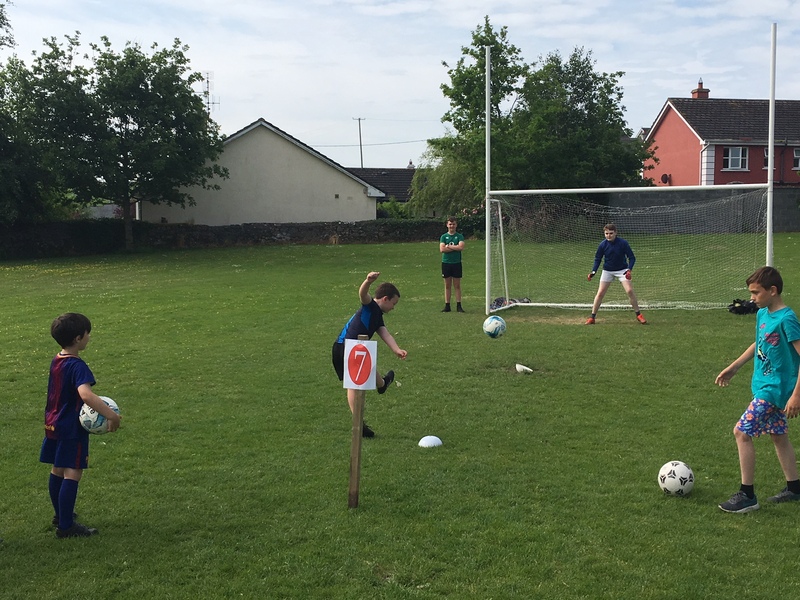 • Please ensure that only team officials are on the side line during games. 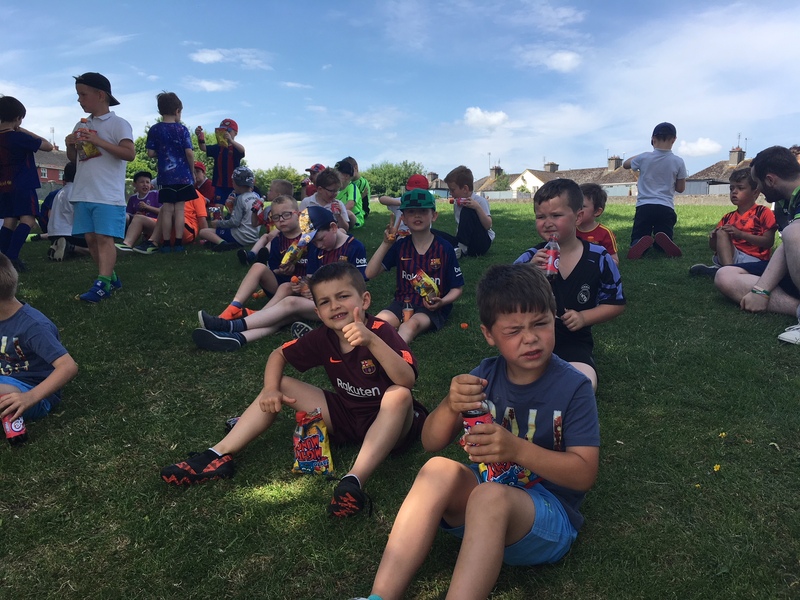 Both venues used for the finals have excellent covered seating and there is no need for parents or supporters to be on the sideline during games. 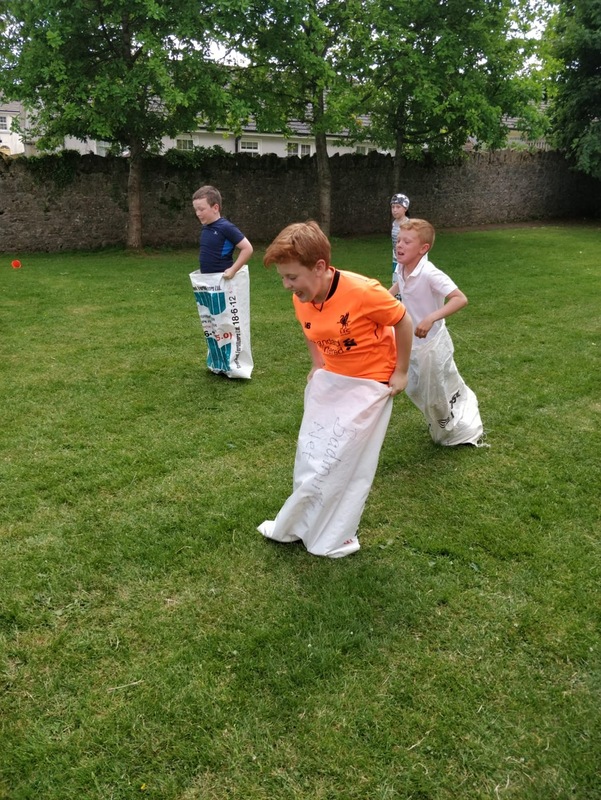 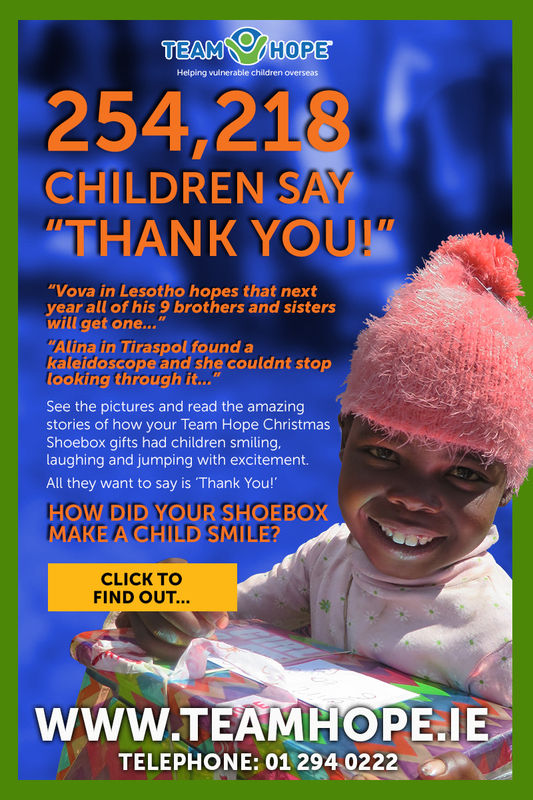 • Each school is responsible for providing their own first aid for their players. 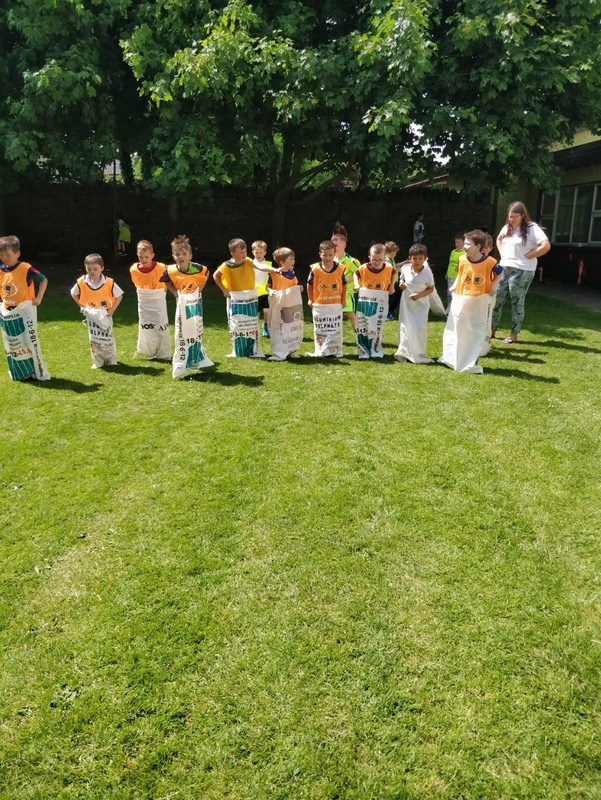 • Each school is responsible for the conduct of their own supporters.